The French Riviera is a sophisticated destination with luxury yachts and palace hotels each bringing their own personality, style and panache to the definition of a luxury getaway. In this article Bespoke Yacht Charter takes a look at the most luxurious hotels in Cannes, Monaco, Nice and Cap Ferrat. If you happen to be on the Côte d’Azur, you’ll no doubt have noticed that it’s beginning to look a lot like summer. It’s hard not to be dazzled by the clear blue skies, delighted to rediscover the warmth of the sun on your skin and excited by the array of new vintage rosé wines starting to appear on wine shop shelves. Yes, yet another yachting season is amongst us. Whilst many Mediterranean yacht charters start on our sparkling coast before undertaking journeys to Corsica, the Amalfi Coast and beyond, many charterers don’t feel the need to leave the Côte d’Azur; whether cruising between St Tropez and Monaco and all the bays in between, or using one port as a base for an array of entertaining. The latter is especially the case during premier events such as the Cannes Film Festival and Monaco Grand Prix. The prestigious Hôtel du Cap-Eden-Roc on the Cap d’Antibes, between Cannes and Nice, is one of the finest 5-star hotels in France and epitomises the style and elegance of the French Riviera, featuring regularly on Tatler and Conde Nast Traveler lists as one of the best hotels in the world. Part of the Oetker Collection of elite luxury hotels, it is set amidst 22 acres of gardens with palms, Aleppo pines, citrus, cypress and olive trees, wisteria, roses and magnolia. The hotel grounds embrace the coastline and offer marvellous views of the Mediterranean and the Íles de Lérins. The hilltop village of Mougins was once more popular than Cannes and served as a Roman staging post for the Via Aurelia; evidence is recorded in old Roman tombstones displayed in the town’s Musée Municipal. Today, the Roman influence has slipped into the pages of history books but step inside the Porte Sarrazine – the last intact gateway in the medieval village fortifications – and you’ll discover a picturesque village that still retains lots of appeal. An attractive town that name drops Yves Saint Laurent, Catherine Deneuve and Picasso as past residents, Mougins is pleasantly Provençal with streets that curl around in a spiral layout showcasing cosy art galleries, street sculptures, restored houses carpeted in jasmine and enough renowned restaurants to pack a gastronomic punch for diners that come from near and far. Saint-Paul-de-Vence, located 15 minutes’ drive inland from the coast, was once a refuge from Saracen raiders and even today, the well-preserved town ramparts built by François I in the 16th century give a nice medieval ambience and offer lovely views to the sea and across a landscape of olive and cypress trees and red-roofed villas. The surrounding countryside and Mediterranean climate allowed the village to flourish thanks to orange trees, olives, vines and figs and now tourism brings throngs of visitors to this picturesque hillside town. In spite of the high season crowds, it is one of the most famous – yet loveliest – village perché in the French Riviera region. Beaulieu-sur-Mer is situated between Nice and Monaco, a seaside resort that is blessed with a picturesque setting and history books that are dotted with tales of royalty, movie stars and politicians visiting to enjoy the mild climate. It is here that you will find Villa Kérylos, one of the French Riviera’s cultural gems that was previously managed by Culturespaces but from January 2016 is now under the management umbrella of the CMN (Centre des Monuments Nationaux). The villa was historically listed in 1966 and becomes the 99th national monument in France to be overseen by the CMN. It would be hard to imagine a more spectacular setting for a country club that that of the Monte-Carlo Country Club. Set high on the sheer Monaco coastline near the Hotel de Paris, the Monte-Carlo Country Club overlooks the glittering Mediterranean Sea, offering sensational views to players and spectators. All around the club, palatial villas and majestic apartment buildings cling to the cliffs among the fragrant pines, and cooling sea breezes blow over the club’s courts and stands. The Monte-Carlo Country Club is rich in history and fame. It has been the home of a grand tennis tournament since the late 1800’s, and the country club has hosted some of the towering names of tennis: Becker, Ferrero and Nadal, to name just a few. Since 2000, this glittering Tournament of Monte-Carlo has become part of the ATP Masters Series and is now called the Rolex Masters Monte-Carlo: a truly magnificent event on the French Riviera social calendar. The prestigious Monte-Carlo Country Club offers 21 clay courts and 2 hard courts, arranged in a ‘staircase’ leading down towards the sea. Of these, two of the courts are covered, and 9 are flood-lit. The Monte-Carlo Country Club is also home to two squash courts, as well as an array of other activities. Yoga classes are offered on a columned terrace overlooking the sea, and massage treatments in the sumptuous wellness centre and spa. Golf enthusiasts can work on their game, and snooker and bridge are also available at the club. Monte-Carlo Country Club has a state-of-the-art gym and (one of the great attractions of this club) a stunning mirrored pool, where you can also take aqua-gym classes and swimming lessons. For those wishing to improve their tennis game, or even compete, there are tennis lessons, competitions and tournaments on offer at the club. Afterwards, you might wish to dine at one of Monte-Carlo Country Club’s two clubhouse restaurants, or take a cocktail at the club’s bar. The Monte-Carlo Country Club also has a Pro shop onsite. Membership at the Monte-Carlo Country Club is by application with sponsorship, although visitors are also welcome at the club. Some areas, such as the pool, are restricted to those visiting under a member’s invitation. Tennis clothes and shoes suited to clay courts, all preferably white, are required on the courts. A one-time membership admission for those wishing to play tennis begin at €200 for children under 18, rising to €400 for young adults from 18 to 21 years, and €7,000 for adults. If you seek membership but only want to participate in the other ‘leisure sports’ rather than tennis, then the membership admission fee is €4,800. If a second person is joining, the fee will be reduced to €3,000. In addition, annual fees range from €500 per year for those under 18, to €1,355 for adults. There are discounted prices available for students and veterans, as well as a second person. There are day tennis tickets available ranging from €34-€46, and carnets of tennis tickets for seniors, juniors and invitees. There are also day tickets for leisure sports from €24-€30. For a full range of the Monte-Carlo Country Club’s fee schedule including pool entry, swimming lessons and massages, please click here. This article was produced by La Costa Properties. Honeymoons have come a long way over the years, and today anything goes from an around-the-world adventure trip to a luxury resort holiday in the tropics to a staycation taking advantage of local honeymoon options. One of the increasingly popular honeymoon choices is chartering your own luxury yacht, giving newlyweds the ultimate experience in romance and privacy. Bespoke Yacht Charter understands honeymoons are one of the most special and memorable holidays of your life and with our expert knowledge of our charter fleet and advice about breathtaking destinations we would be privileged to assist you find the ideal charter yacht for your dream honeymoon. Everything is arranged in advance saving you time and stress and allowing you maximum opportunities to relax, sightsee, swim and enjoy your honeymoon. Full service professional crew will ensure you have everything you need and also incredible privacy on your yacht. Flexibility with where you go unlike land-based honeymoons. Imagine waking up for a refreshing swim before breakfast, then cruising to a beautiful secluded beach for a romantic lunch before ending your day at sunset with champagne and strawberries in the yacht’s jacuzzi! Exceptional gourmet cuisine and fine wines and liqueurs to your exact preferences. High standard of on board amenities for recreation and relaxation such as saunas, spas, entertainment systems, fitness equipment, water toys (differs per yacht) meaning you can choose to do as much or as little as you please. Anything is possible! Enjoy an on board massage at sunrise, or canapés at midnight by hurricane lamp on the aft deck. Bespoke Yacht Charter are full of great insider tips about gorgeous places to go and romantic things to do. Whether your personal interests lend towards beaches, history, art, culture, shopping or food experiences we can recommend ideal honeymoon destinations in the Mediterranean and beyond. 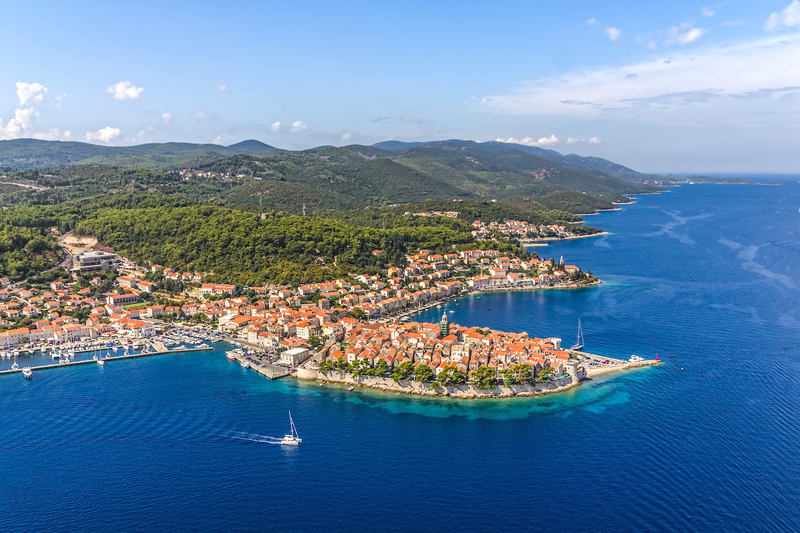 Croatia is a popular destination that’s ideal for your first important voyage together! Filled with beautiful, historical cities to explore such as Split and Dubrovnik and a lengthy coastline dotted with over 1400 islands, the best known being Hvar and Korcula, you’ll have no problem finding a secluded haven where you can lose yourself to create your own oasis of privacy and romance. The French Riviera attracted famous painters for good reason, there is a wonderful evening light that shimmers off the sea that creates conditions perfect for romantic sunset cruising. 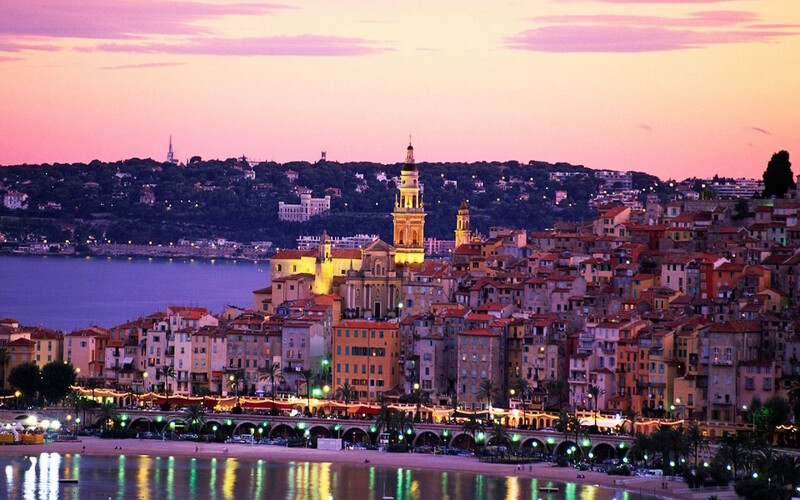 From trendy St Tropez in the west to the lemon-scented sea breezes of Menton in the east, you can join the glitz of the rich and famous for a glass or two of Dom Perignon or find a quiet bay for some solitude as the sun sets. A country that oozes romance, Italy has ports set in gorgeous locations, amazing World Heritage-listed sites and delicious food and wine that will ensure adoption to a strict fitness regime afterwards. 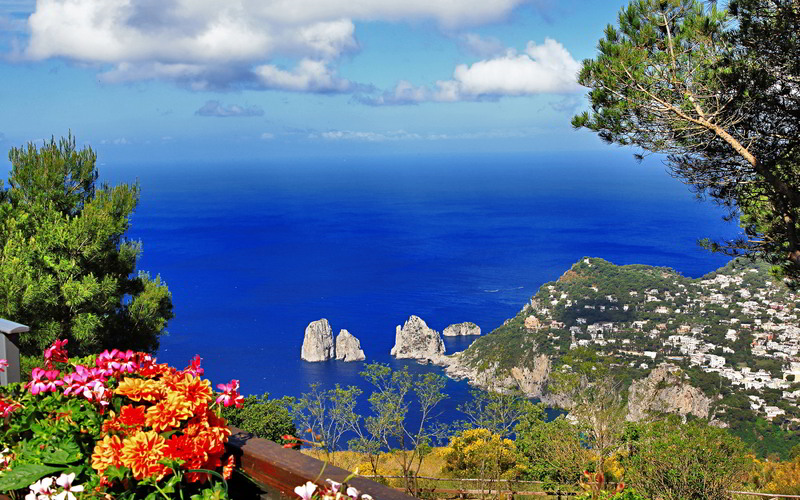 Enjoy the bliss of a honeymoon destination perfect for ‘la dolce vita’ and drop anchor at the famous Cinque Terre coastline, paintbox-hued Portofino, the cliffside towns of the Amalfi Coast and the stunning islands of Capri, Sardinia and Sicily. 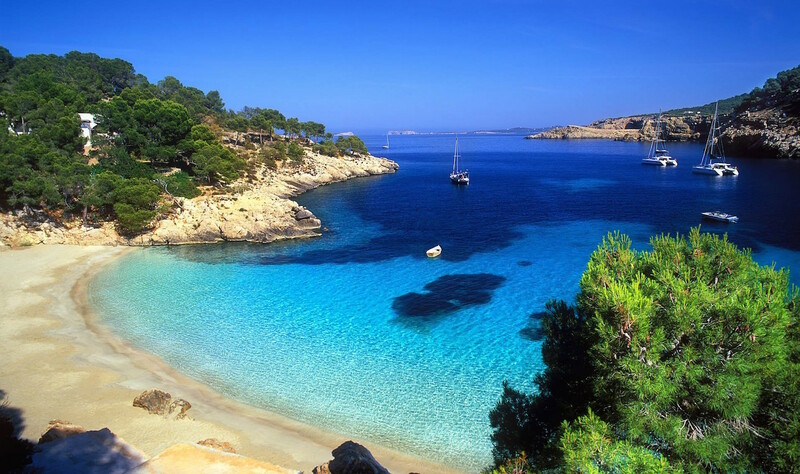 Take advantage of high sunshine hours year round and head to Spain and the Balearic or Canary Islands. Whether you prefer the interesting history of Andalucia, beautiful beaches in the Balearics or fresh tapas and a sip of sangria amidst the volcanic landscape of the Canaries, you’re certain of a fantastic honeymoon yacht charter destination that will leave plenty of time for a well-deserved siesta. Ever wondered what it’s like to charter a luxury yacht on the French Riviera. In just seven days, take in such fabulous destinations as St Tropez, Cannes, Antibes, Nice, Cap Ferrat and Monaco, as well as visits inland to Eze Village and St Paul de Vence. Have you ever wondered where all the stars stay during the Cannes Film Festival? The Hotel du Cap-Eden-Roc is actually not in Cannes at all, but located on the lush and highly prestigious peninsula of Cap d’Antibes a few kilometres east of Cannes. This legendary hotel is famous the world over and widely considered as one of the finest and most exclusive hotels on the planet! The hotel was originally built in 1869 as the Villa Soleil by the founder of France’s Le Figaro newspaper. In 1887, it was purchased by an Italian hotelier and opened in 1889 as the Hotel du Cap. In 1914, the Eden-Roc building was added on the seafront forming what we now know as Hotel du Cap-Eden-Roc. Despite forming part of the same hotel, the two buildings have their own distinct atmospheres. The main hotel is a Napoleon III château with a very refined feeling. The Eden-Roc pavilion is more casual and focused around the iconic swimming pool, built into the cliffs. This swimming pool with its’ spectacular views over the bay of Juan Les Pins, Cannes and the Esterel mountains has to be one of the most fabulous places anywhere on earth to take a dip! The hotel has its own private jetty for guests arriving by luxury yacht. Inheriting a vast fortune upon the death of her father, and being separated from her husband, Béatrice Ephrussi de Rothschild decided in 1906 to purchase a plot of land. Nothing more at the time than an arid rock, she fell in love with the view as many people visiting Cap Ferrat today also do. In 1907 after much debate and discussion from an apparently temperamental and demanding owner, work began on the villa that is today one of the most important properties along the Riviera – Villa Ephrussi de Rothschild. Béatrice passed away in 1933 but her distinctive gardens were as yet incomplete. She insisted only the gardens visible from the house were completed first. Using staff to stand in place of plants and waterfalls, moving around to emulate the flow of water, she designed the French garden, closest to the house, herself. The Baroness bequeathed the entire Villa Ephrussi de Rothschild and all of its contents to the Institut de France and in 1934 Louis Marchand was commissioned to complete the remaining gardens. During the second world war Cap Ferrat was entirely vacated and so the Villa Ephrussi de Rothschild and gardens left unkept. However all survived and in 1945 Louis Marchand who thankfully survived the war returned to restore and complete these magnificent gardens. For such a vast space reaching completion under the same watchful eye of the man who designed them was quite a feat and adds to the beauty of these gardens and they are kept more or less the same today. Béatrice Ephrussi de Rothschild inherited a love of art from her family and collected the best of the best from each era, including furniture, paintings and fabrics. Not always matching and being equally aesthetically appealing to the eye when combined, this monumentally valuable and unique collection has been under the ownership of the Institut de France since the death of the Baroness. Under the careful management of Culturespace, this amazing art is curated and cared for, for the benefit of everyone and is one of the most important collections still intact. The Villa Ephrussi de Rothschild is open year-round. The Pink Elixir of the Côte d’Azur! With the temperatures rising, restaurant terraces and beach clubs are getting busier by the day and the pink elixir of the Côte d’Azur is being consumed in ever increasing quantities! Rosé wine just doesn’t taste right anywhere but in Provence and on the Côte d’Azur, and if you’re anywhere on the Riviera then consumption is a must! Provence is renowned for producing the best rosé in the world, the warm climate and sandy soils are perfect for the vines. Rosé is growing in popularity in part perhaps due to the purchase of several well known vineyards by celebrities such as Brad Pitt and Angelina Jolie. However rosé has kept its classless, elegant appeal and is the drink of choice for the summer season for everyone from clientele of the local bar tabac to guests of prestigious beach clubs, villa garden parties and superyachts. From St Tropez beach clubs to yachts anchored at Plage Mala, all you will see are bottles and bottles of Rosé, from Magnums of Chateau Rasque at Paloma Beach to Domain Ott on the huge yachts anchored off Cap Ferrat. It’s a fact that the paler the colour, the better the taste, but apart from the world famous Garrus from Chateau d’Esclans, which is perhaps the best rosé ever produced with a price tag to match at €99 per bottle, the most expensive isn’t necessarily always the best! Château Rasque – Famously served in magnums rather than regular sized bottles in many a beach club, this rosé is one of my favourites and perhaps has one of the highest consumption rates throughout the summer season. Robust enough to be served with anything and equally great as an aperitif. Served as the house rosé in some of the most elegant establishments on the Côte d’Azur this has to one of the highest contenders for the most elegant and consistently brilliant rosés. Château Sainte-Marguerite – The cru-classé from the Fayard family run vineyard is wonderfully delicate and pale, with subtle flavours, it makes a fabulous companion to a fresh Mediterranean summer lunch, or to just enjoy on its own. A true classic! Domain Ott – Château Romassan – Affectionally named “Over The Top”, this is perhaps the most famous rosé in the world and certainly a favourite with celebrities, often to be discovered in large quantities at many flamboyant parties, especially during the Monaco F1 Grand Prix and the Cannes Film Festival. This is indeed an excellent rosé, slightly more robust than the very pale rosés and therefore a superb all rounder. This wine is as perfect served with red meats as it is grilled prawns and fresh fish. Not the best value rosé on offer, but certainly one of the most popular. M de Château Minuty – Not the most prestigious rose from this legendary Château but one of my all time favourites and a first choice for me every time if available. This wine is light, fresh and easy to enjoy with food or on its own. As the Château states “The M range is a real moment of pleasure and happiness to share with good friends and extend that holiday feeling.” This for me explains the wine perfectly and makes it my all time favourite! Miraval – The only rosé wine in Wine Spectator’s Top Wines of 2013, this is considered by many to be the best of the best. First released as a 2012 vintage by new owners Brad Pitt and Angelina Jolie in partnership with the Perrin family of Château de Beaucastel, the wine sold out in a matter of hours and has now become “THE” rosé. It is delicious and certainly in my humble opinion a serious contender as the best of the best. Previously released as “Pink Floyd” for many years by the former owners as the legendary rock band recorded their seminal album “The Wall” at the Château back in 1979. St Tropez – The original luxury yacht charter destination! The town of St Tropez on the Côte d’Azur is one of the original summer holiday destinations in the Mediterranean, and today it is even more famous than it ever has been. So what turned the little Provençal fishing port of Saint-Tropez into the legend that it is today? What was once a sleepy and rather quaint town had already begun to attract famous faces like Coco Channel as early as the 1920s, but it was the Brigitte Bardot film “Et Dieu Créa la Femme” (And God Created Woman) that marked the birth of St Tropez as a summer holiday destination for the international jet-set. The year was 1955 as reflected in the name of the beach restaurant “Club 55” at nearby Pampelonne beach in Ramatuelle, which began life as a humble seafront canteen for the film’s cast and crew! Love it or hate it, there is no denying that this little town is well and truly on the map! Up there with the big boys, London… Paris… New York… St Tropez! Perhaps the most famous town on the French Riviera, St Tropez is invaded in July and August, with over 100,000 visitors a day pouring into the town from all directions. Traffic is a total nightmare in the high season, it can take two hours just to get from the St Tropez autoroute exit into the town itself. As much of a cliché as it may be, it really is better to come to St Tropez by yacht or by helicopter from Nice or Cannes! The French jokingly refer to St Tropez as “St Trop”… “trop” meaning too much, or excessive. And it is true that when you come to St Tropez, all the displays of excess that you have read about in newspapers and magazines, really are there for all to see. But St Tropez is fun, really good fun! No yacht charter on the Côte d’Azur is complete without at least a day spent here and you really don’t need to be a billionaire to enjoy it, though it certainly helps! Here’s how to do St Tropez in style! Have coffee in one of the cafes on the Old Port followed by some shopping. St Tropez has it all when it comes to shopping, from a genuinely good food market, through to rather tacky gift shops, to the high end designer boutiques of Chanel, Hermes, Louis Vuitton, Christian Dior, Prada and Gucci. Christian Dior and Chanel are particularly special, both boutiques being housed in fabulous turn of the century villas right in the centre of town. After some shopping, head to the gorgeous Place des Lices, a fabulous square near the centre of St Tropez, where the locals play pétanque under the shade of the plane trees. There are some great cafes here and it is the perfect place to enjoy a cocktail or a glass of champagne before heading back to the yacht in the old port. Around 1pm, St Tropez sees something of a exodus as yachts of all shapes and sizes throughout the port start up their engines. They’re all heading for the same place… the beach clubs at Pampelonne in nearby Ramatuelle. Nearly thirty beach clubs occupy a pristine 4.5km stretch of golden sand that is perhaps the most famous beach in the world, certainly one of the most photographed! Unlike beaches elsewhere on the French Riviera, Pampelonne beach is not overlooked by ugly apartment buildings but instead by gentle rolling hills dotted with vineyards and spectacular luxury villas. It is to these beach clubs, that the famous.. and the not so famous flock to in summer months. With names like Tahiti, Nikki Beach, Les Palmiers and Bagatelle, each one of these beach clubs has its own unique vibe with great food, water sports and live music. You need to arrive by yacht… that’s just the way it’s done! Plenty of swimming, sunbathing and a long lazy lunch from 3pm to 6pm is the way to do it! Back to St Tropez for sundowners on the port! Sénéquier is the place to be. This cafe and its quirky triangular red tables feature in almost every photo taken of St Tropez. In many ways, Sénéquier is St Tropez! People watching is the order of the day as the afternoon morphs into the evening and St Tropez really comes alive. The Bar du Port is also great fun, with excellent music! The best place to eat in St Tropez is on the deck of your own yacht in the port. You choose the time, the food and always have the best table in the house! There is a certainly satisfaction that comes from sitting on the deck of a yacht, glass in hand, surveying the amazing food before you as scores of tourists glare at your every move, their eyes looking like they are about to detach from their heads at any moment. Should you not wish to dine aboard, there are some superb restaurants in St Tropez. Highlights include chic fine dining at La Vague d’Or at La Residence de la Pinede and great food with a brilliant atmosphere at Le Quai, a fabulous hybrid restaurant/club on the port that puts on a fabulous dance cabaret show that you really need to see! After dinner, head to the VIP Room in the new port or to Les Caves du Roy at the Byblos Hotel. Both of these clubs have great music, great crowds and epitomise the hedonistic vibe of St Tropez. The perfect way to end your day in St Tropez! St Tropez is one of the most popular destinations on a French Riviera Yacht Charter! Château de La Napoule is a must-see when renting a yacht on the Cote d’Azur!